You know the drill. Your Uber arrives, you hop in, confirm the destination, and you're on your way. Somewhere along the ride, you might be offered water or gum. Maybe you’ll get access to a phone charger or an aux cord. But if you're really lucky, you'll get matched with a Cargo-equipped Uber. Sounds cool, right? It is. Uber riders can explore buzzy brands and products during what would otherwise be an uneventful commute. We loved this idea before, but we love it even more now, knowing they’re introducing complimentary Korean sheet masks to the mix, thanks to a recent partnership with K-beauty brand Leaders Cosmetics. 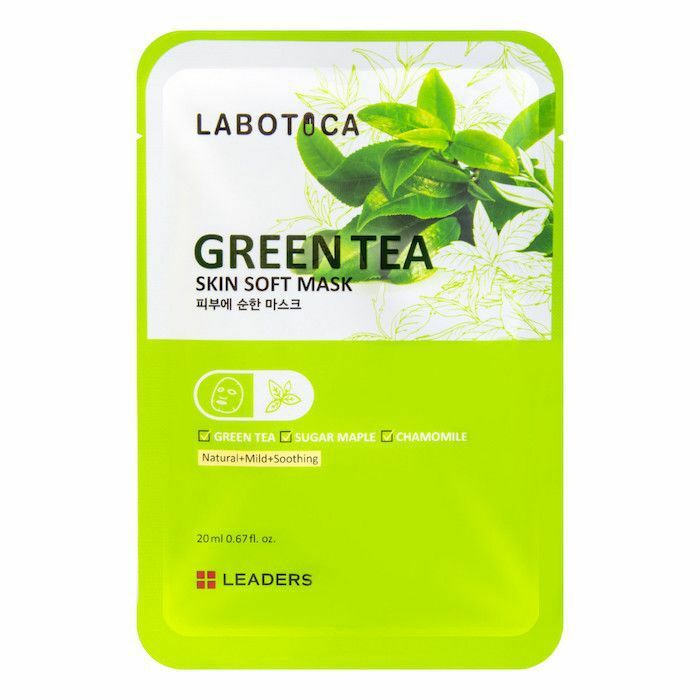 Starting today, if you ride with a Cargo-equipped Uber, you can receive a full-size Labotica Green Tea Skin Soft Mask for free. All it requires is an easy mobile checkout (don’t worry; there’s no annoying app download involved). Simply go to cargo.menu, choose the sheet mask from a list of product options, enter the driver’s unique Cargo code, and this K-beauty sheet mask is yours. It’s most definitely worth the quick scroll on your phone, too, since it’s formulated to reduce inflammation, calm breakouts, and soothe skin with naturally fermented green tea. How do you know if your Uber is Cargo-equipped? Easy. There will be a Cargo display on the center console of the car; you can’t miss it. Simply follow the mobile steps listed above, and the driver will get an alert on his or her phone, telling them to hand you the product. If this is the future, we can’t wait to see more. Who knew our daily Uber would be the next place to give us a beauty fix? Next up, learn why Korean girls never get chapped lips.